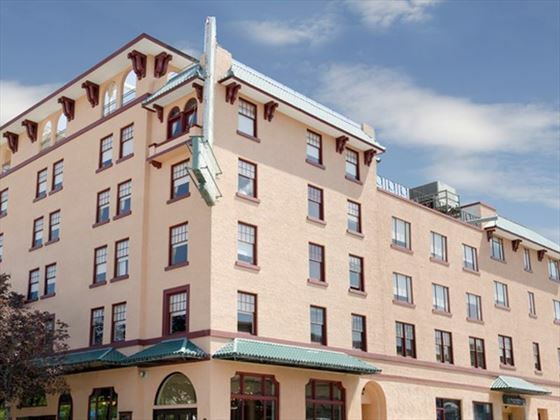 Built in 1928, this historic Kamloops hotel offers an ideal balance of heritage charms and modern conveniences. 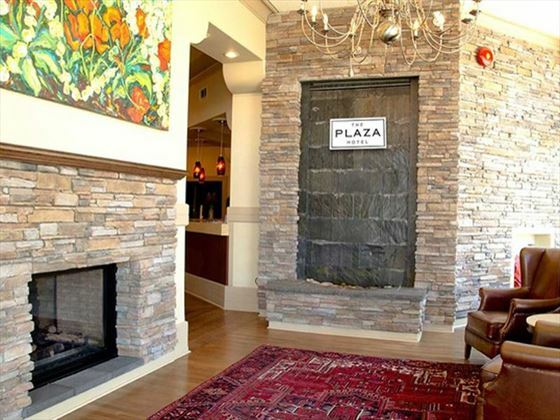 Located in the heart of downtown, the Plaza Hotel was recently fully renovated, and after several months of beautification, it reopened its doors to welcome visitors as it has for nearly 90 years. Guests enjoy being just steps from outstanding shopping, tourist attractions, restaurants, art galleries and more, as well as a wide range of complimentary amenities, including some unexpected delights, like free access to The Yoga Loft wellness facilities and the YMCA, as well as discounts at the Alna Spa and Plaza Hotel Liquor Store. Guestrooms combine elegant heritage décor in a color scheme of classic chocolate, white and red, with upgrade fixtures like large flat-screen TVs. There are plenty of special touches too, like environmentally-friendly toiletries utilizing unbleached card, biodegradable plastics and vegetable-based soaps, and items like hand lotion, mending kits, shower caps, soap and shampoo are available free of charge at the front desk. Double Rooms – The 129-square-foot Double Rooms include one double-size bed and all standard amenities. 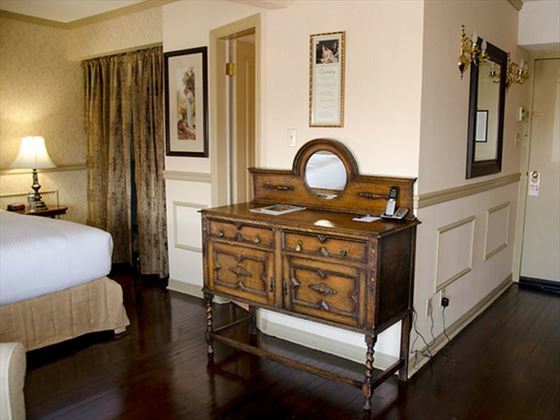 Deluxe Queen Rooms – These 172-square-feet rooms include one queen-size bed, city views and all standard amenities. Deluxe Twin Rooms – The Deluxe Twin Rooms feature two twin-size beds in 183-square-feet of space, courtyard views and all standard amenities. 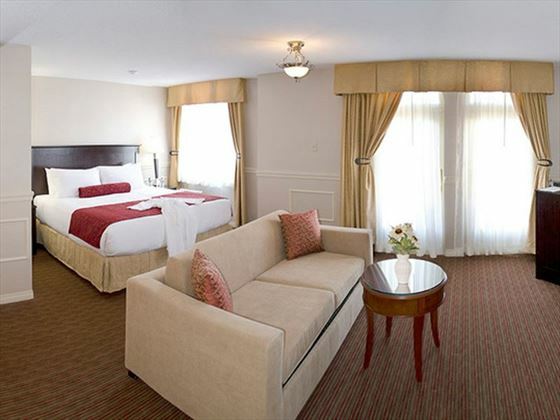 Deluxe Double Rooms – The 183-square-foot deluxe double rooms offer city views and two double-size beds. Luxury King Rooms – These 226-square-foot rooms offer courtyard views and include a king-size bed. Luxury Queen Rooms – The Luxury Queen Rooms are made up of 226 square feet and include two queen-size beds and city views. 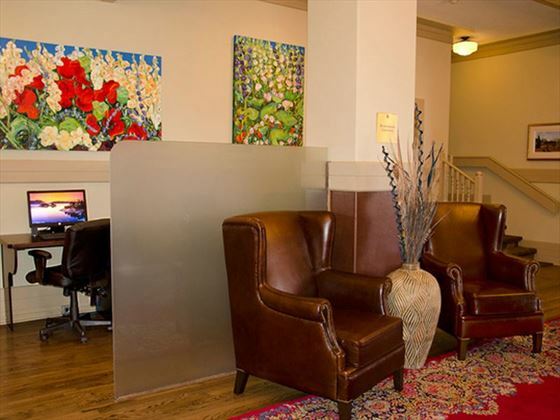 Junior Suites – Junior Suites are located in corner rooms and feature 495 square feet. They offer mountain views and include one king-size bed. The Plaza Hotel does not have an onsite restaurant or bar, but there are numerous options within walking distance and a liquor store on the property. 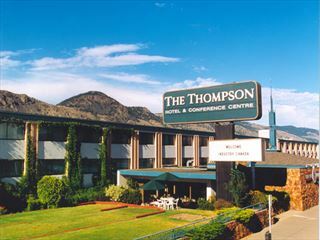 The Plaza Hotel is located in the city centre, just steps from the Kamloops Art Gallery and the Kamloops Museum, and a 10-minute walk from Riverside Park. Guests also have easy access to a multitude of shops and eateries nearby. 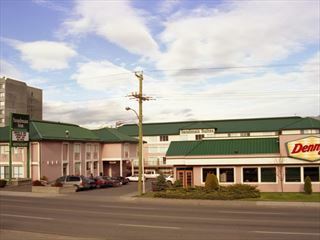 This hotel is centrally located in downtown Kamloops, close by to great parks, fantastic shopping and delicious restaurants - though we'd recommend trying the hotel's Nobe Pig Brewhouse too. 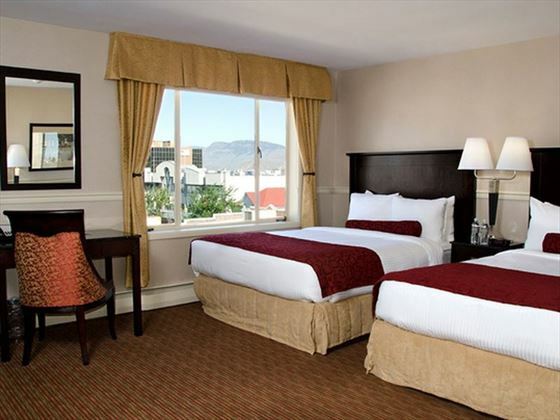 You'll also receive complimentary breakfast and be treated to beautiful views of the mountains or city. 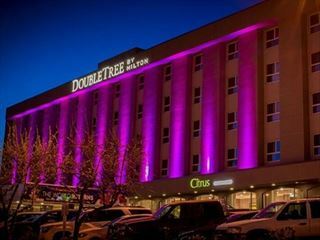 The DoubleTree by Hilton Hotel Kamloops is situated downtown in an ideal central location for work or for play offering a warm, friendly and attentive service.